A couple days ago I went to go see Inside Out. I didn't write a review because our other writer, Rob, already wrote one (which you can read here). But I absolutely loved it. The concept was brilliant, and the execution was almost flawless. The result of over five years of writing, rewriting and planning resulted in a near perfect film that has every right to stand among the other Pixar greats. But in reflecting the movie, I realized just how important original movies are to film. 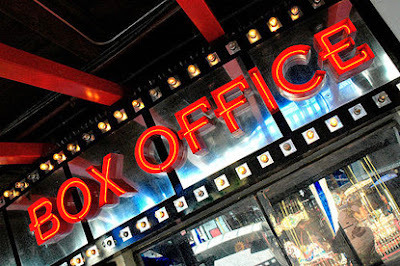 In this day in age, the box office is overrun by high budgeted blockbusters that are apart of franchises. When movies like Avengers: Age of Ultron, Jurassic World and Furious 7 rule the box office, it makes it hard for purely original films to have the spotlight. I have nothing against the blockbusters. I enjoy them thoroughly, but even the blindest of blockbuster lovers (so pretty much anyone who's a fan of the Transformers movies) would admit that they exclude smaller films. 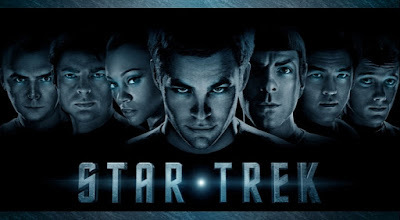 It wasn't too long ago that first time director Roberto Orci was attached to direct Star Trek 3. Even though he had been writing and developing the rebooted franchise from the beginning, a lot of people were against a first time director taking on a film as massive as Star Trek 3. He then left and was replaced by Fast Five director Justin Lin, who is currently in production on the film as we speak. Though we don't know much about the movie at this point, we know that the cast will be back and the film is set for a 2016 release, to coincide with the franchise's 50th anniversary. But even though the film comes out next year, progress on the film has been slow. Well, now it seems that things are finally starting to move, as the title for the movie has been revealed. Lin posted the title on his Twitter account, confirming the next Star Trek film to be titled Star Trek Beyond. The title has been rumored heavily for a while now, but was only confirmed now. 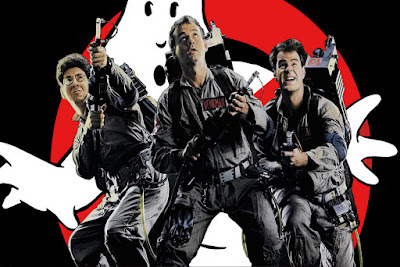 A film I'm really looking forward to in 2016 is the Ghostbusters reboot, being directed by Paul Feig and starring Kristen Wiig, Melissa McCarthy, Kate McKinnon, Leslie Jones and Chris Hemsworth. With the all-female cast and the comedic genius of Feig, this movie has a lot of potential to be something very special. And doing a reboot offers so many creative opportunities to introduce new and fresh things to this franchise. Feig has repeatedly said that this film will honor the movies and mythology that came before it. Sometimes directors and writers just say that, but after looking at the new uniforms for the new Ghostbusters, you can tell that he was being truthful. One of my favorite films of last year, and of all the Marvel films, is Guardians of the Galaxy. It was new, refreshing and had an incredible cast. 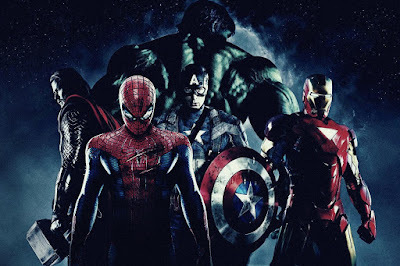 It offered something new to the Marvel Cinematic Universe, being the tenth addition to the collective universe. A lot of what made the movie great was due to the writing and direction of James Gunn. He went into the blockbuster an indie filmmaker and a fan, and came out with an exceptional film. 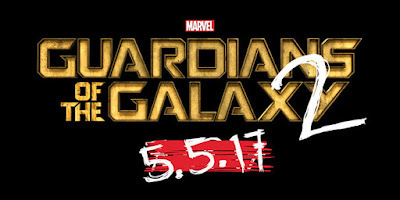 Right now, Gunn is working on the script for the sequel, with is set to be released in 2017. The sequel has been tentatively called "Guardians of the Galaxy 2", with the knowledge that an official title would come soon. Now, we have that title. This weekend, Ted 2 and Max opened in theaters. Let's take a look at this past weekend's box office. In its third week, Jurassic World came in first place. There is just no stopping this movie. It has already crossed $1 billion, while also cracking $500 million domestically, beating out Avengers: Age of Ultron for highest domestic gross of the year. It's on its way to probably being one of the highest grossing films of the year, if not of all time. It's amazing what power nostalgia can have. It makes me legitimately scared of the damage Star Wars Episode VII: The Force Awakens can do. You can read our review of Jurassic Worldhere. It wasn't too long ago that when someone mentioned the possibility of the rights of Spider-Man going back to Marvel, it was viewed as ridiculous and an impossibility. However, things have now changed. While the rights haven't necessarily gone back to Marvel, Sony has made a deal with the studio in order to share the character. Basically, Spider-Man will be in the Marvel Cinematic Universe films, but will also have his own solo films produced by Sony. There have been endless debates on which studio has more pull over the character right now (my money is on Marvel), but what we do know is that we will finally be able to see Spider-Man with the Avengers on screen for the first time. Even though comic book movie adaptations have broken through and taken over the box office, video game movie adaptions have yet to be cracked. There have been many attempts, but none have been successful (or good) as of yet. Next year will see the release of two highly anticipated video game movie adaptations, Warcraft and Assassin's Creed, which may finally give us some good adaptations, and open the floodgates for more films. However, I believe that we may get our first good film (hopefully) this year, with Hitman: Agent 47. It stars Rupert Friend as Agent 47, with Zachary Quinto fighting against him. I loved the first trailer for this movie. It reminded me a lot of Kingsman: The Secret Service, with stylistic action and cool and inventive camera movements. It looks like it could be something very special. And now, a second trailer has been released. Tom Hardy is probably one of the most interesting actors working today. He has compiled a fantastic resume-- from playing Eames the Forger in Inception to being the only person in the whole movie in Locke, Hardy constantly tries to top himself with every new movie he does. Now, he's doing it again. In his latest film, Legend, Hardy plays twin mobsters, the Kray Brothers, as they take over London's underground in the 1950's. We've seen actors play multiple characters on screen before, but this is something that I am really excited for. Hardy is one of my favorite actors working today, and to see him attempt this feat will be incredible to watch. 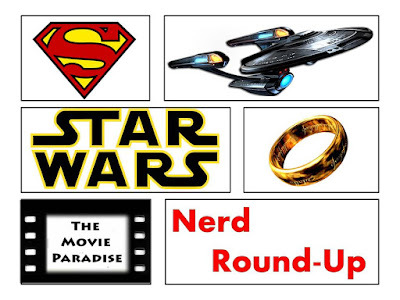 This is the fifth installment of this new series where I basically take a movie and pick my personal five favorite scenes from that movie. Then, you can go into the comments and say why you either agree or disagree with me. For this article, I will be doing The Shawshank Redemption. Warning- there are spoilers! Sorry this is a few days late guys, but here it is now. This past weekend, Inside Out and Dope opened in theaters. Let's take a look at this past weekend's box office. In its second week, Jurassic World came in first place. There is no stopping this movie. The film has already crossed $1 billion dollars at the worldwide box office in just thirteen days, taking that record away from Furious 7, which grossed $1 billion in 17 days. Right now, Jurassic World is looking to be one of highest grossing films of the year. I recently did an article about what this film's success means for the rest of 2015, which you can read here. It's scary how well this movie is doing, and it makes me really think how much damage Star Wars Episode VII: The Force Awakens is going to do. You can read our review for Jurassic Worldhere. 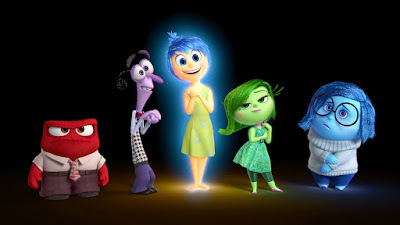 Inside Out is the new movie from Pixar, and it's strange to say that they haven't been that great as of late. However, they returned to greatness with this movie. They once again are able to make you feel emotional and feel like you're not just watching an animated kids film, but a great adventure for everyone to enjoy. 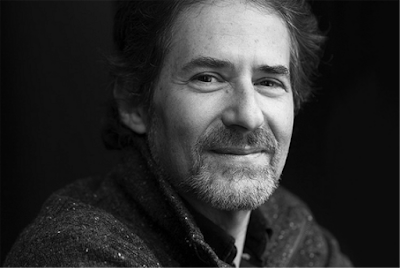 Composer James Horner, best known for his scores for Titanic, has passed away at the age of 61. He was piloting a plane that crashed into a remote area, about 60 miles north of Santa Barbara. He was an incredible composer, having been nominated for ten Academy Awards, and winning two. Not only did he compose the Oscar winning score for Titanic, but helped write the famous song from the film "My Heart Will Go On", preformed by Celine Dion. While he did many soundtracks for director James Cameron, he has worked on a variety of films with a variety of directors over the course of his life. Ever since it was announced that Sony and Marvel had struck a deal to share the Spider-Man property, people have been speculating as to who would now be playing the webslinger. For a while, it looked like it was going to be Asa Butterfield, whom I was on board with. However, there was no official conformation. It is pretty much assumed at this point that Spider-Man will be in Captain America: Civil War, since the character plays a prominent role in comic series. 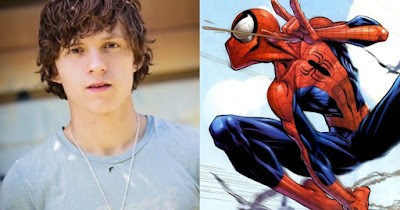 So with Civil War filming already underway and no set actor to play Spider-Man, we knew that something was coming. Today, we finally got it. It has been confirmed that The Impossible's Tom Holland will be playing Spider-Man. It was also confirmed that Jon Watts will be directing the solo film in 2017. With these announcements, some statements were released. 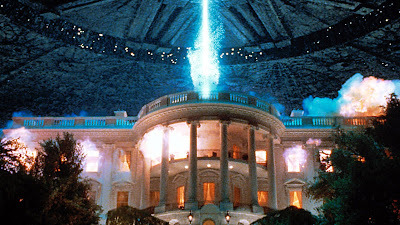 For many fans of the original 1994 film, there was a lot of excitement when an Independence Day sequel was officially confirmed. Since its initial greenlight, several cast members have been confirmed, including the return of original cast members like Jeff Goldblum, Bill Pullman and Vivica A. Fox, as well as newcomers like Liam Hemsworth and William Fichtner. Original director Roland Emmerich will be returning to the chair for the 2016 sequel, after twenty two years of waiting for fans. While I liked Independence Day, I didn't see why it was so beloved by so many people. It seemed kind of average to me. But it looks like the sequel is going in a good direction, so I may check it out. And now, the sequel has an official title.